Mokoia Island is known as the green jewel of Te Takiwa Wajariki. The island was once home to lovers Tutanekai and Hinemoa. Their love story became so popular that Rotorua named two intersecting streets in their honor. As beautiful as Mokoia Island is, it is also fertile that it was home to many thriving villages. Today, the beauty of Mokoia Island is preserved with conservation efforts in place for future generations to witness its beauty. 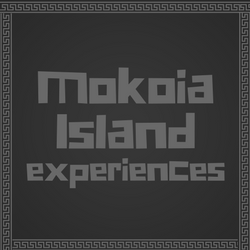 Copyright © 2018 Mokoia Island Wai Ora Experiences. All rights not expressly granted are reserved. Content displayed on this website is the copyright property of Mokoia Island Wai Ora Experiences and the respective providers of such content.